It's the last day of Papertrey Ink's July countdown... are you making your list and checking it twice? 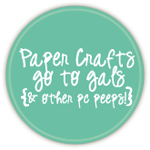 Papertrey's design team is coming back at you today with our second group post. This time we're highlighting a brand new set called Tranquility Trilogy. For today's project, I went with something I knew would make my little ones happy. They are obsessed with straws. 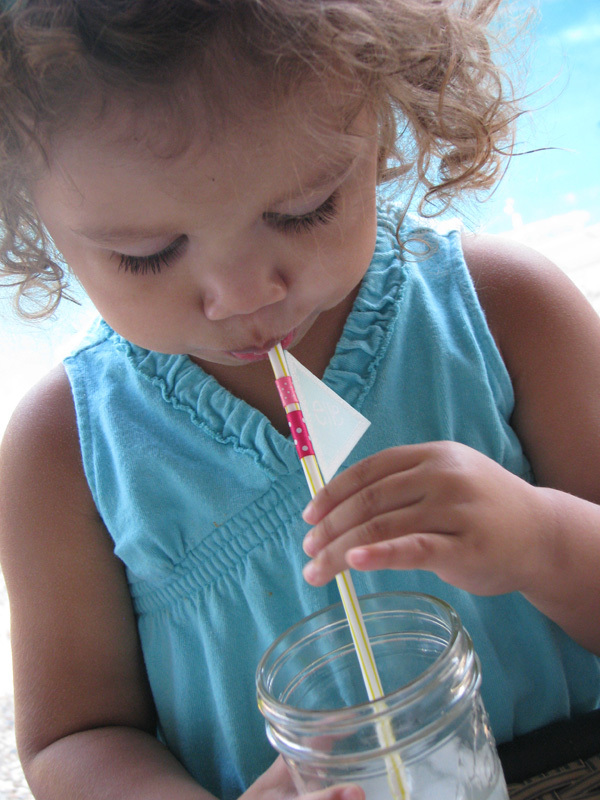 Are your kids obsessed with straws... or is it just mine? It doesn't matter what the drink is... I could probably set some freshly squeezed spinach juice in front of them and as long as I popped a straw in it, they'd be good to go. Plus, their cousins are coming to visit this week and let me tell you, that is a BIG deal. So I thought some fun little straw flags would be a fun little lunch addition. They were super, super simple to make. I used the Tranquility Trilogy die to bust out all of my colored flags. I chose a different color for each kiddo... the little girls can't read their names, but I figured they'd be able to tell their own by the color. The Tranquility Trilogy set comes with 6 triangle images; 5 of them are filled with pretty images and one triangle is open. I stamped and heat embossed the open triangle on all of my die-cut images... it makes a sweet little frame for the names to go in. 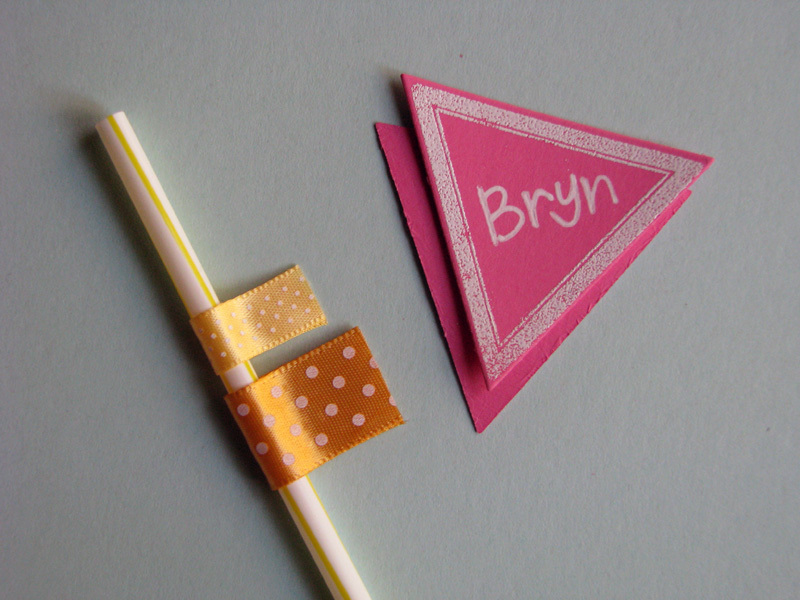 A few ribbons adhered around the straws with Scortape make a little base for the flags. Wouldn't these be so super cute for a birthday party? I'd just leave a few pens in a pretty glass at the drink table and let folks write their names on them. One more Tranquility Trilogy project for today... this one is definitely on the clean, graphic, and modern side. I kept working with the open triangle and this time embossed the image on some Soft Stone die-cuts. I arranged the triangles in a simple pattern on a cardstock panel, making sure to leave a little bit of space between each one. 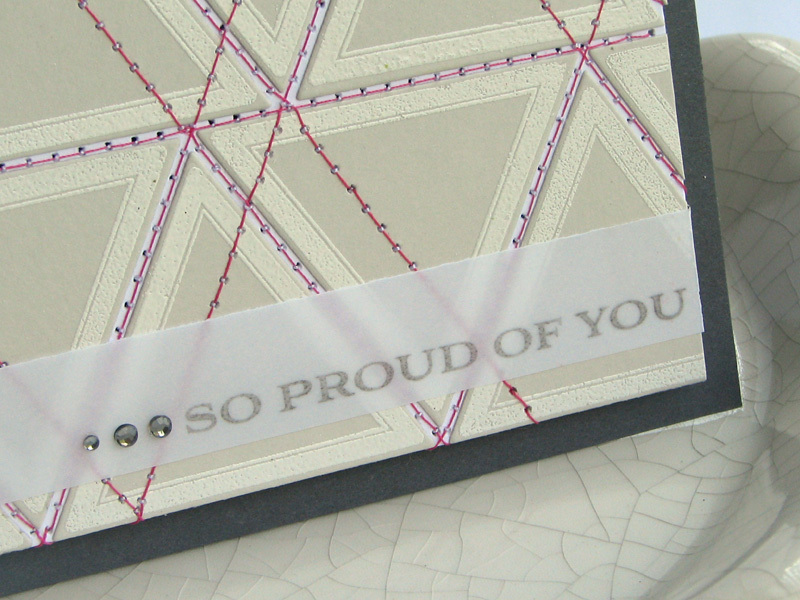 One of the sentiments from the new Congrats All Ways fit perfectly with the sophisticated look I was going for. I added it to a strip of vellum to keep from covering up the pattern too much. I mean, come on... you can't spend the time on the pattern and then cover it all up, right? If you're in the mood for more brand-new inspiration, just check out the rest of the design team! Only one more day until the big reveal! What are you loving so far from this month's release? 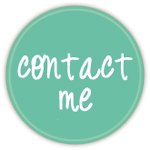 I'd love to hear your thoughts so far! Love the clean modern look of the card. Gorgeous!! I bet your kids would love those curly straws ... I used to love them! Your card is straight, modern and sooooo great!!! An my dauther loves your straw-flags so much!!! Ooh! Such a cool card! Love the soft stone, white ink and purple stitching. You have GREAT style! Great idea I love the markers for the drinks! 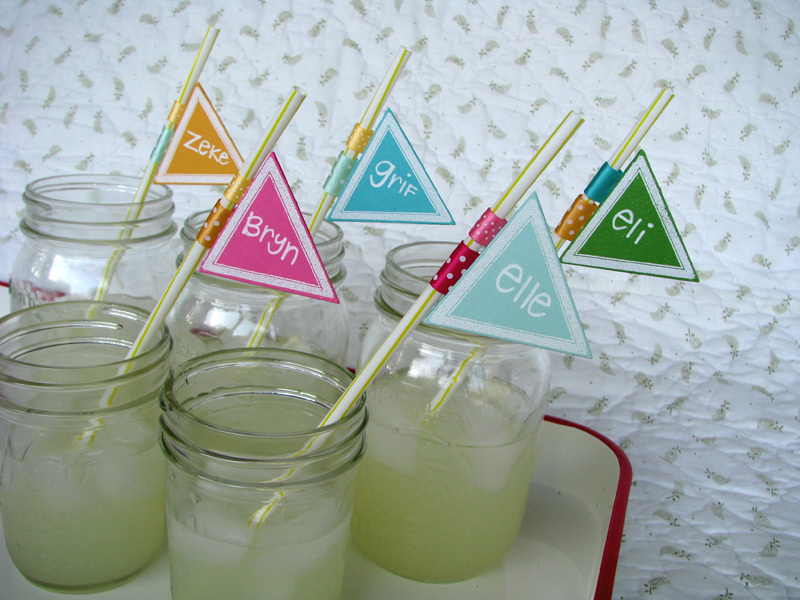 Great idea to make flag markers with them. Now I can't wait for party time. 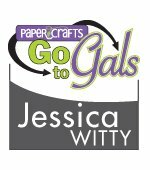 Jess--I love your playful nature and all of your creations. I like how you push the envelope of your own creativity. Brava! Jess--your straws are so sweet! Great idea! 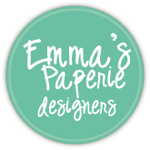 There are so many great stamp sets and dies coming out this month that I'm going to have a hard time choosing what is absolute priority--my budget doesn't allow pushing the "I want it all" button! My favorite, however, is the Friendship Jar Summer Fillers set and dies--that pint jar is just too cute! 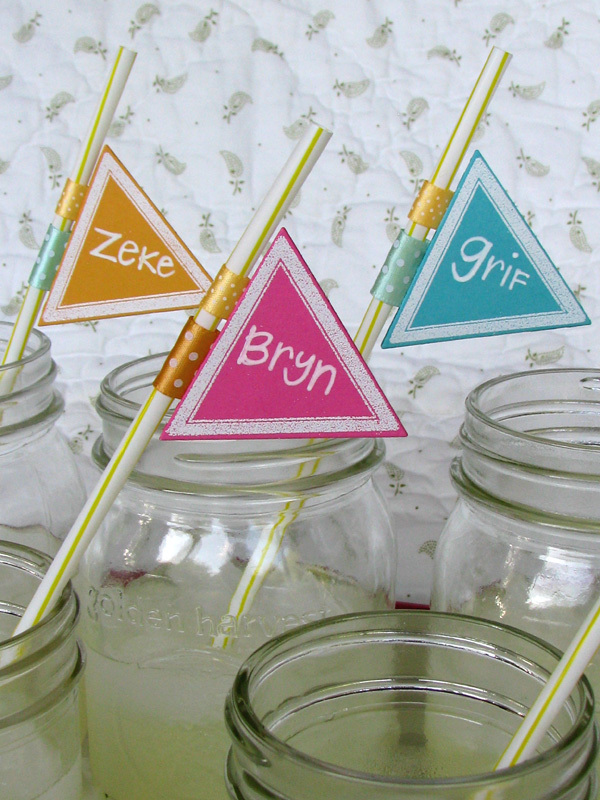 Jess, your "flagged" straws are adorable and so fun for the kids (or adults) to use and talk about. 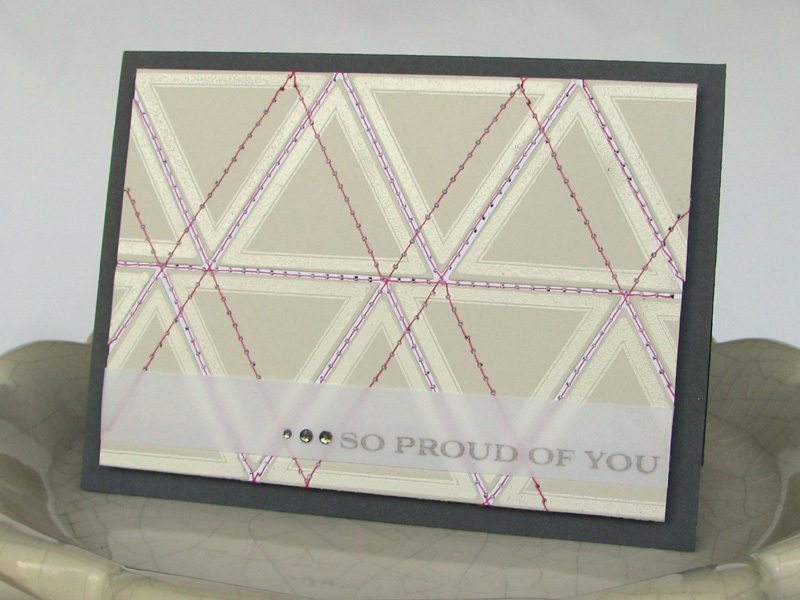 Your card is gorgeous ~ love the stitching with the triangles. So very elegant and soft. 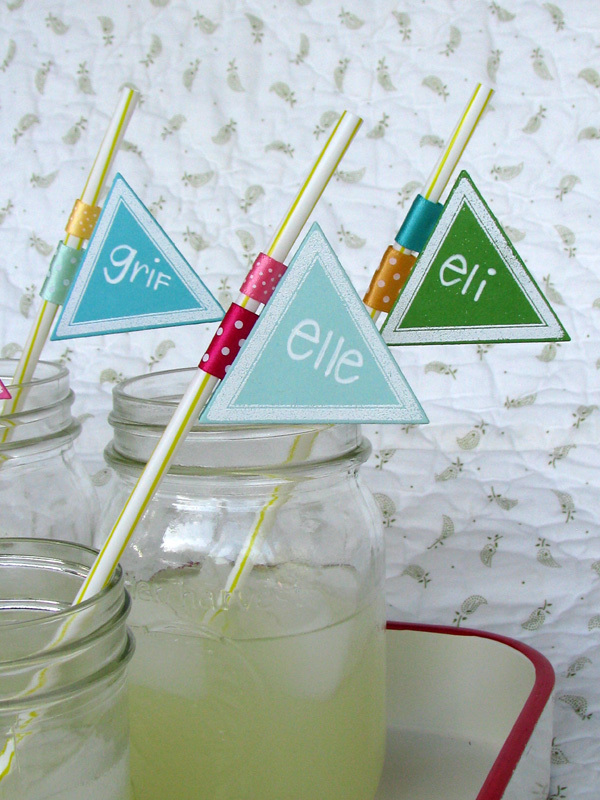 LOVE the straw flags! Way too adorable! 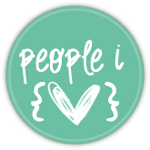 Thanks for your sweet comment on my moving card on my blog! I'm very curious what you come up with with the letters!! Can't wait! these are so cute, and i'm sure the girls enjoyed them...especially the ones that can read their names. :) i hope you don't mind, but i referenced your project on my blog (no pictures, just links back to your blog).